Dan the Pixar Fan: Incredibles 2 Goldfish NOW AVAILABLE! 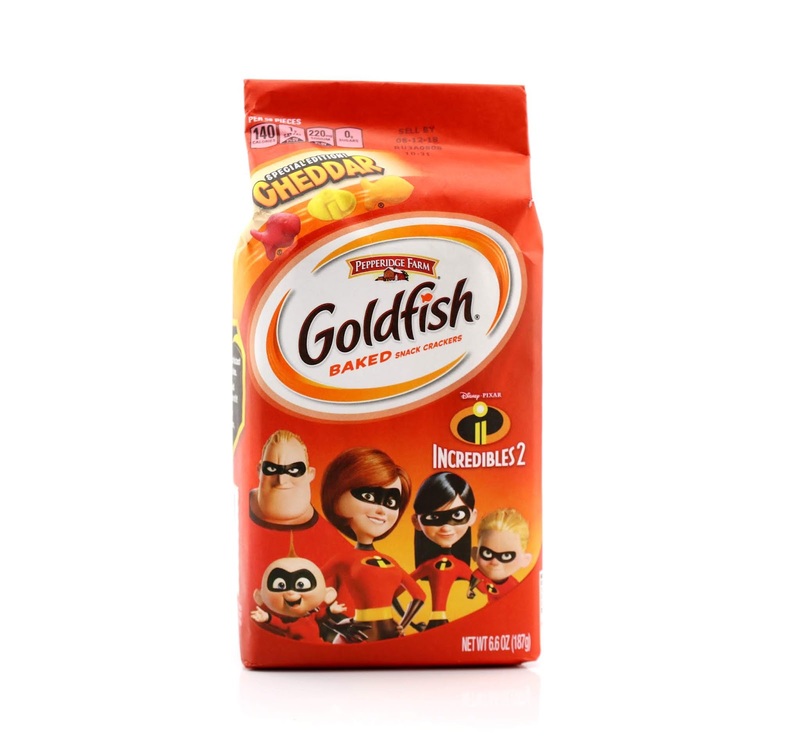 Similar to what was released last year for Cars 3, you can find these Pepperidge Farm Incredibles 2 inspired Goldfish in stores now! I stumbled upon these at Target a couple weeks back and didn't hesitate to grab a bag. 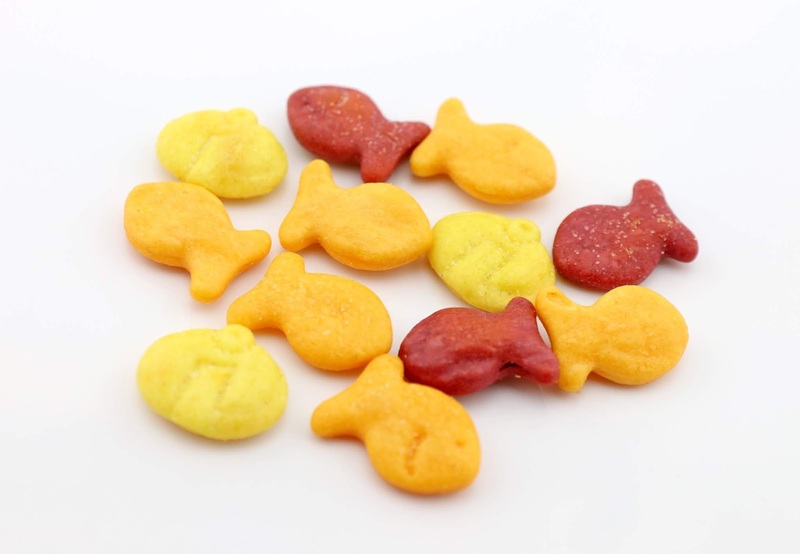 Beyond the cool themed packaging featuring the Parr family in their classic super suites, the Goldfish themselves are a mixture of three different cheddar cracker colors/styles; this includes the traditional orange smiling fish, one that's "red" (more like a burgundy, but I know what they were going for) and a yellow one (which is the best one since it's in the shape of the Incredibles logo). Cool! 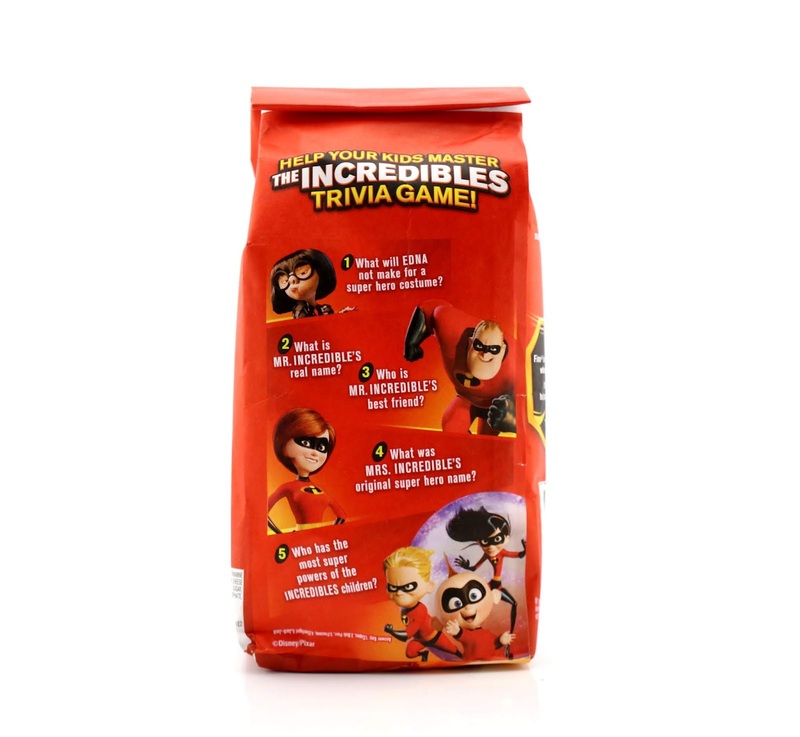 On the back of the package, there's a fun little five question trivia game. Do you know all the answers? Here are the actual Goldfish out of the bag. These will certainly be making an appearance as one of the party snacks at my Incredibles 2 themed birthday TOMORROW! So excited. If you're looking to pick up one of these bags for your pantry, be sure to check your local Target soon (I haven't seen them anywhere else but there). Retail is $2.49.